Scroll down to read about our FOUR different program offerings! Performances will be on Friday August 16 at 11 am for the morning classes, and at 5 pm for the afternoon classes. 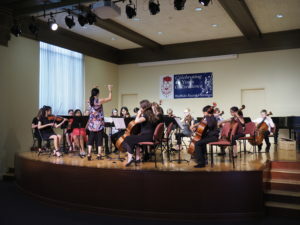 The three-hour morning workshop provides classes that focus on developing technique, musicality, note reading, and ensemble playing. 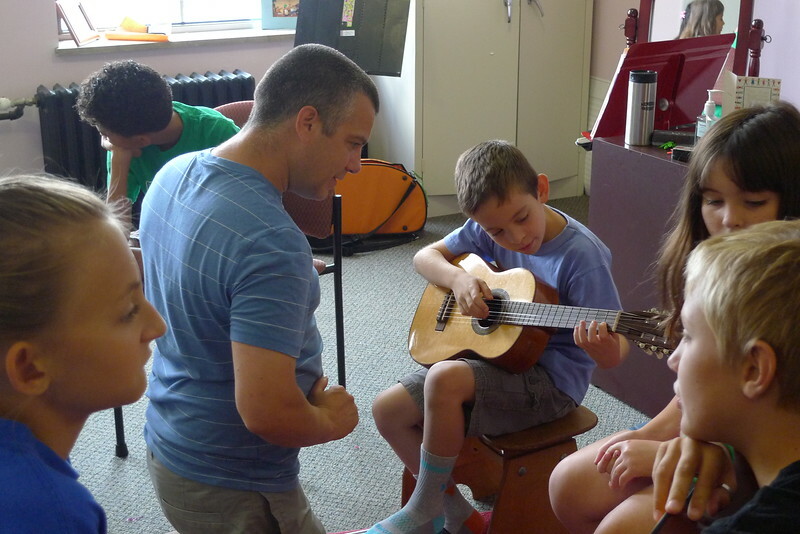 In addition, a variety of enrichment classes are designed to broaden our students’ musical experiences in different and exciting ways. 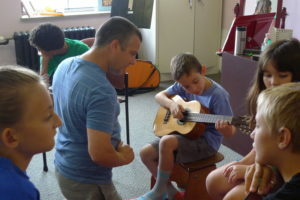 Age-appropriate classes are designed to enhance the students’ playing as they are inspired by those around them. 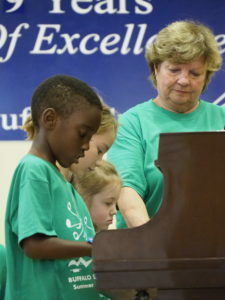 It is a week of exceptional music instruction that is well-rounded and fun. 9:00 – 11:00 Monday through Friday. 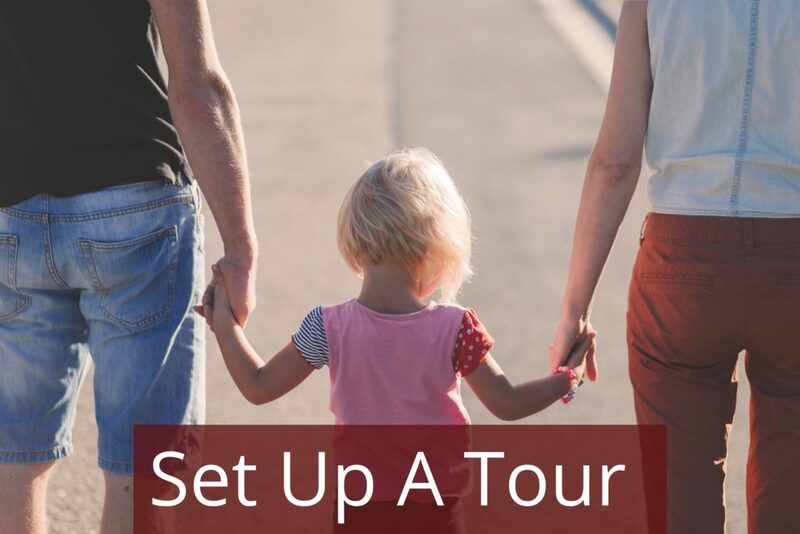 Every child must be accompanied by a parent. 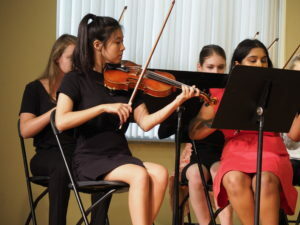 The Introduction Class at the Summer workshop is designed to introduce the students who have not yet started lessons on their chosen instrument to the formal learning process. 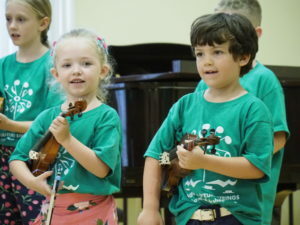 It is a non-instrument specific class that teaches tempo beat, rhythm, watching and following the teacher, teamwork with other students in the class, singing (and the opportunity to match pitches), introduction to a few basic intervals, and how to learn in an age-appropriate but more formalized setting. All concepts are presented as games and activities. This class will help the children become familiar with the concepts they will be learning when they start lessons on their chosen instrument. 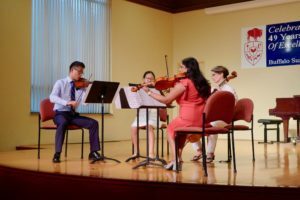 This program is for violin, viola, cello, and piano students who are capable of playing quartets at early Mozart level and up. It is an excellent opportunity to participate in a week of making beautiful chamber music together. The program includes a two-hour coached chamber ensemble, an instrument specific master class, and either string orchestra or piano ensemble. 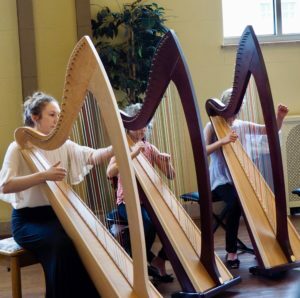 Harp students ages 5-18 of all levels, methods, and traditions are invited to join us for a week of harp ensemble, masterclasses, music theory, enrichment classes, and more with the harp faculty at Buffalo Suzuki Strings.